The perfect partner for tactical boots and hikers. 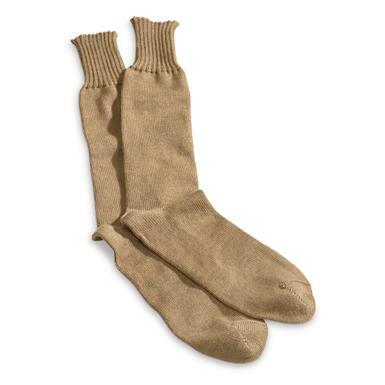 Recruit these durable Dutch Military Surplus Wool-blend Socks to keep your feet warm, dry and comfortable on your next adventure. They're build to last and feature a rib knit top that helps keep them up.